I attended the inaugural ADR Assembly in Brussels on 11/12 June 2018. 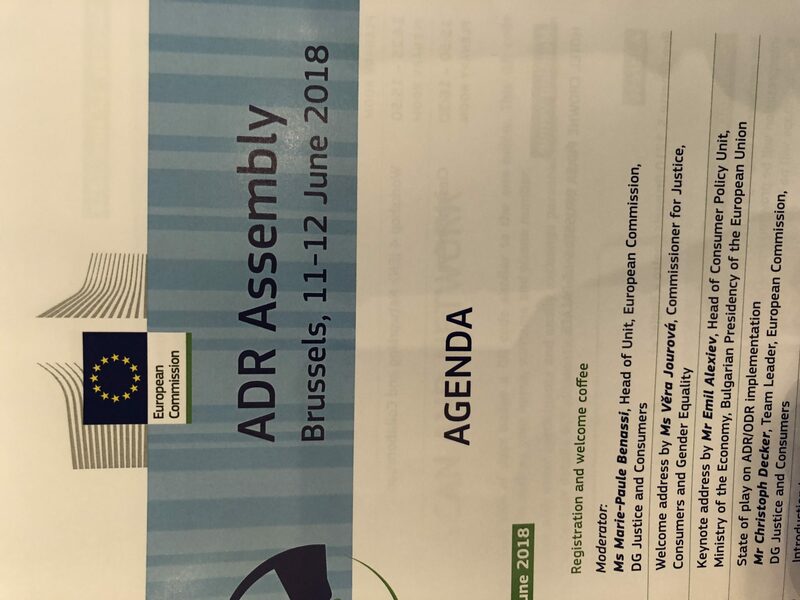 It was a gathering of EU wide ADR providers and an opportunity to network and to learn how the ADR Directive has been implemented in other member states as well as Iceland and Lichtenstein. We were able to discuss trader and consumer engagement and how the process could be improved. For example compliance with the ODR Directive is not observed by 28% of traders, but the ODR Platform has dealt with over 60,000 complaints registered by consumers. • How does the EU framework for ADR work on the ground today – roughly 3 years from its establishment? • What still needs to be improved in the practical application of the framework so it delivers fully on its potential? • How does my ADR model work in practice? • How do we ensure high quality in ADR? • How do we best engage all stakeholders in ADR? • What are the challenges we face, and what solutions do we see? • How can a peer-to-peer network support our work? Everyone was fully engaged in these issues and a lively debate was had. There were representatives from CTSI, which regulates ADR providers as a competent authority, the CAA, which is also a competent authority, Consumer ADR and Ombudsman Services as well as many others. We were reassured that the UK is likely to opt in to continuing to be part of this project after Brexit takes place, so ADR in consumer/trader cases is here to stay. 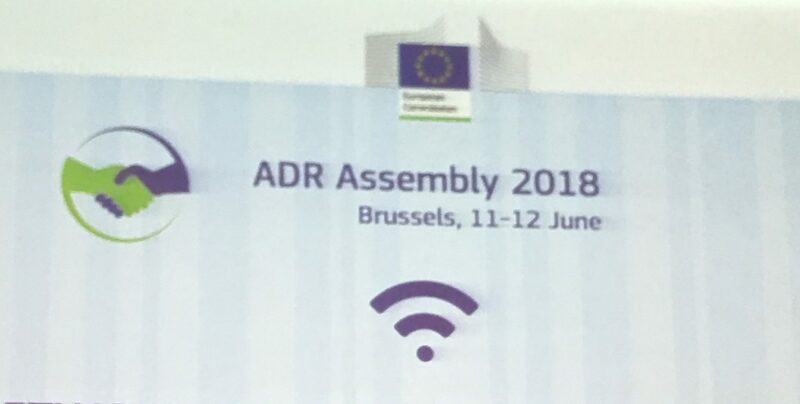 It is likely that the ADR Assembly will become a biannual event going forwards. 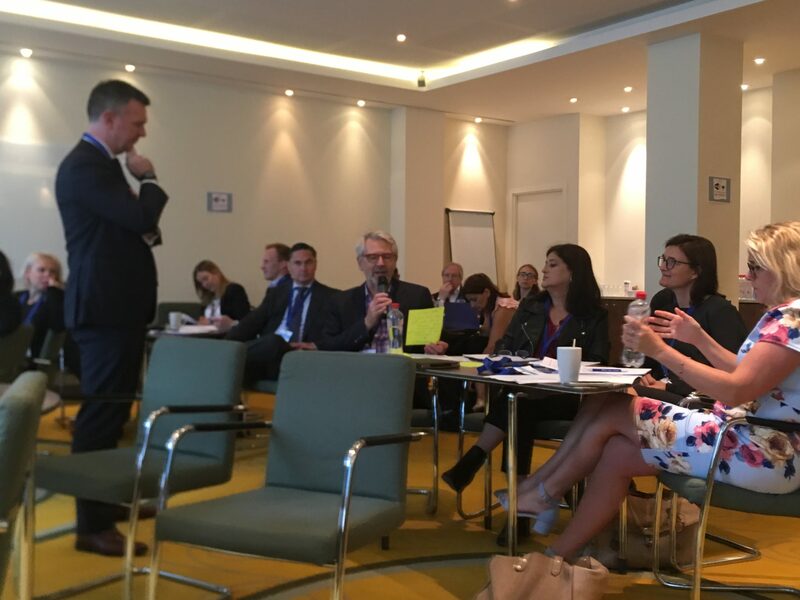 It is hoped that when reviewing the effectiveness of the Directive, the contribution of the attendees at this event will be taken into account.